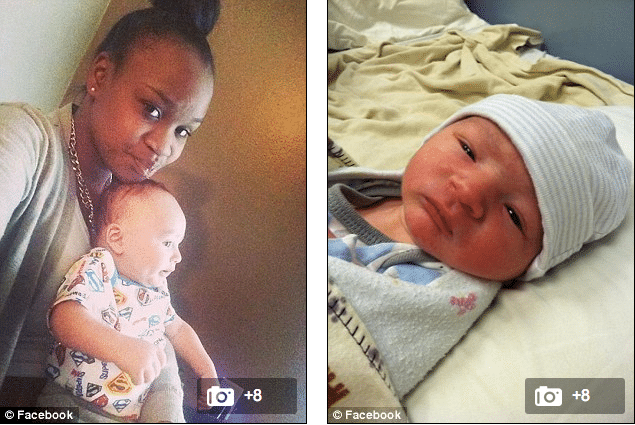 Lesbian couple find out adopted baby they had to give back dies in the care of neglectful father. Why weren’t the young couple giving away the child scrutinized in their capacity to rear a child? 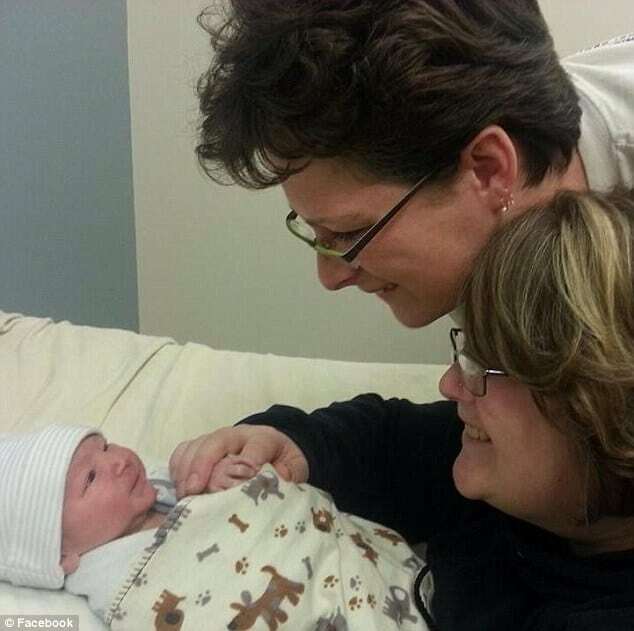 Rachel and Heidi McFarland, an Iowa lesbian couple have learned after watching the news that an adopted baby they had to give back died in the care of it’s teenage neglectful father. 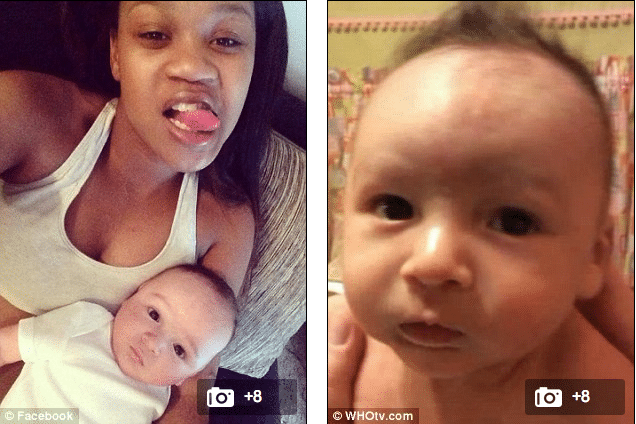 The revelation came a month after the couple were forced to give back the four month old child after its baby mother, 16 year old Markeya Atkins changed her mind. The couple only came to find of the news of the child’s death after watching the evening news last night. Since Gabriel’s death, authorities have charged Drew James Weehler-Smith of Des Moines with neglect of a dependent person after he left his son alone in an apartment on Tuesday. The baby was found unresponsive by his mother, who had been out running errands, at around 8:20p.m., with a bottle by his side and a white substance around his mouth. Prior to the baby’s mother giving up the child, the lesbian couple who have been together for 18 years and married for five had financially supported the youth and had come with her to every doctor’s appointment. The couple told that they had repeatedly asked the child’s mother if she was positive about her decision to relinquish the child and were told yes. She told from that moment on she spent every waking moment with the baby until his birth mother reneged on the adoption that was agreed last September. Heidi even took maternity leave from work. Yet it wasn’t necessarily to be as Iowa has a law which allows the birth mother three months and then one additional 31-day probationary period to change her mind about giving up her baby. At the time of Gabriel’s birth, he was born deaf in one ear. The McFarlands subsequently had him fitted with a hearing aid and had planned to learn sign language so they could communicate with the child in case he lost the hearing in his other ear. The couple have since expressed their frustration over how their lives had been scrutinized before they were approved to adopt the baby, yet Atkins’ home was never checked for safety. ‘The thing is we have been scrutinized. Our lifestyle has been scrutinized; the people that are in our lives have been scrutinized,‘ Rachel told WHOTV.com. While devastated, the McFarlands are determined not to let the failed adoption and Gabriel’s death ruin their lives. ‘We’re just left to put the pieces back together,‘ Rachel said. Weehler-Smith could face additional charges pending the results of an autopsy. I feel so bad for Rachel and Heidi. My husband and I adopted our daughter and went through many ups and downs during the whole process. It really is heart breaking to hear of this poor babies death. If Rachel and Heidi ever need a surrogate I would do it in a heartbeat. I know that unconditional love you feel for your child adopted or biological. I wish everyone could experience that. Sending my prays to all involved. Thankfully many states don’t have this ridiculous 4 month law. In Ohio, for example, it’s 72 hrs after her signature is on the page. That’s it, no going back. Does anybody really know the birth mothers side of the story, or are we just going by what the media is putting out there. There is two sides to every story and sometimes you need to walk in the other persons shoes to understand. When adopting you should realize there is always that chance that the birth mother can change her mind, that’s why there are laws out there.